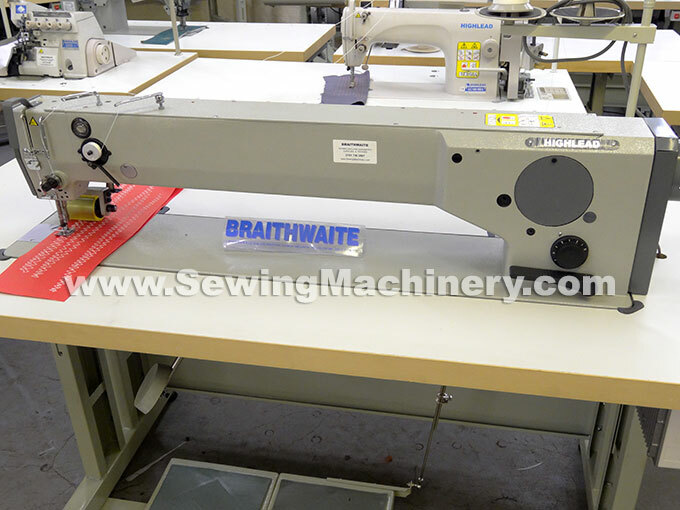 The solid cast and strong sewing machine long arm allows approximately 735mm clearance to the right of the needle, which is around 3 times the length of a standard arm Zigzag machine. 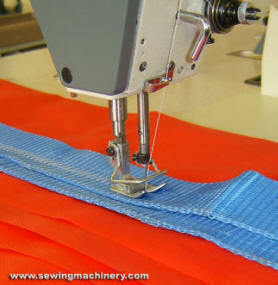 The extra long arm clearance is very useful when sewing larger than normal items. Highlead GG0028-73FLP model is fitted with a back mounted puller feed unit to give more feeding/pulling power when stitching bigger/longer flowing materials. Incorporating an easy change cam system with a 3 step zigzag pattern cam fitted as standard. 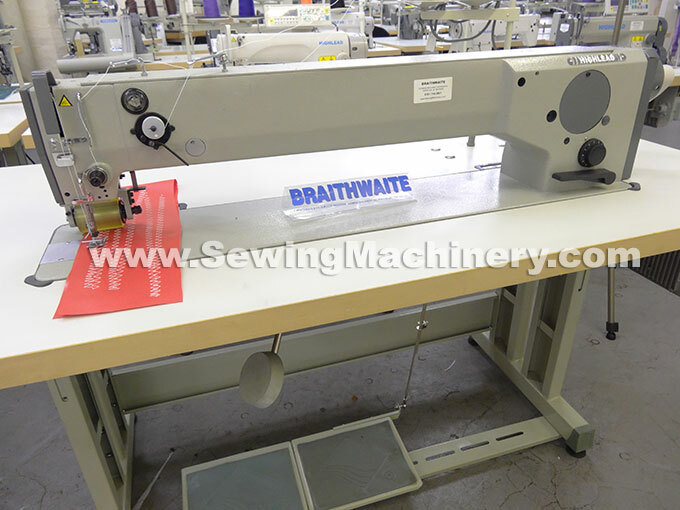 Optional stitch cams are available, which when fitted, allow the machine to sew different patterns including standard zigzag, 2 step, 3 step, 4 step and straight stitch. 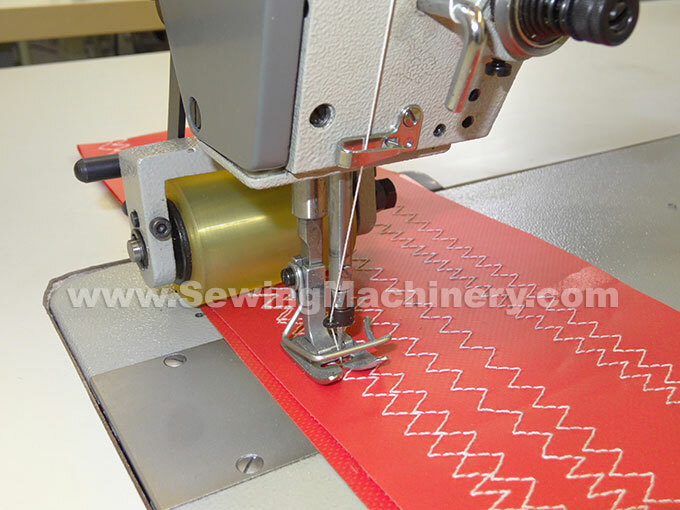 Its modern design features: a zigzag width of up-to 10mm* and a stitch length of up-to 5mm* combining together to produce a functional zigzag stitch pattern for use on a wide range of applications. 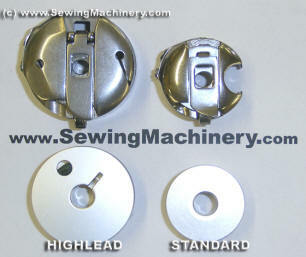 The hook containing the lower bobbin is twice the normal size; resulting in fewer bobbin changes and in combination with the vertical take up lever system, it is of particular use when using thicker than normal sewing threads. It employs a parallel vertical needle bar motion for stronger striking power and a semi-automatic lubrication system to improve service life. Fitted with 3 step pattern cam as standard. Other optional cams available. A wide range of sewing threads can be used, with this model being able to sew with up-to size 20 synthetic thread (or size 30 cotton thread) + V46, V69, V92 & V138 heavy duty threads etc. 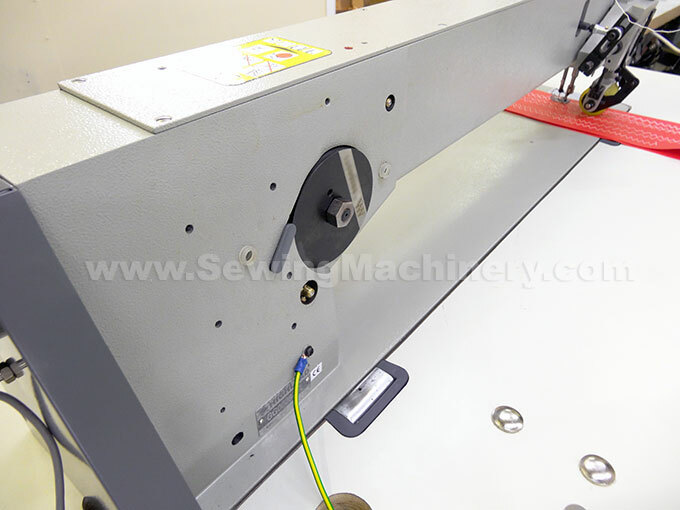 The Highlead GG0028-73FL (-73FLP) is a long Arm Zigzag machine for use on medium to medium-heavy materials and is aimed at job applications where a standard machine is not long enough. For example: Large covers, Sails, upholstery panels, inflatable products, awnings, tents, parachutes, gliders, hot air balloons, bed spreads + other large medium weight items. 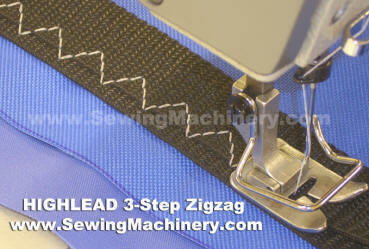 3 step Zigzag pattern cam included. Needle size: 134-35 size 100 to 140.